Its phase III IMpower130 study, one of eight trials it has going against lung cancer that rely on Tecentriq, met goals of boosting overall survival and progression-free survival in the initial treatment of advanced non-squamous non-small cell lung cancer (NSCLC) compared to chemotherapy alone, Roche said. This is the third late-stage study of Tecentriq alone or in a cocktail to show an overall survival benefit for people with NSCLC, Roche said. 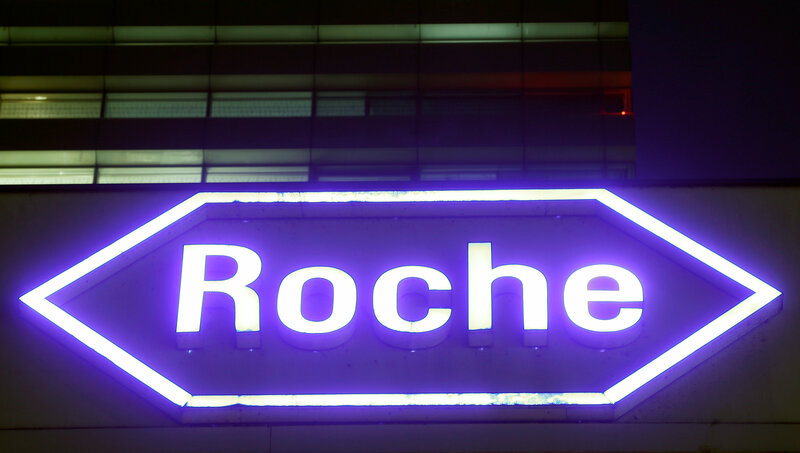 Roche’s third-to-market drug after Keytruda and Bristol-Myers Squibb’s Opdivo has just a fraction of their sales. Roche is under pressure to see as many trials succeed as possible because Tecentriq is central to its strategy to replace falling revenue from older, off-patent medicines. “The results of the IMpower130 study add to the growing evidence showing the clinical benefit of Tecentriq-based combinations in the treatment of advanced non-squamous non-small cell lung cancer,” Roche Chief Medical Officer Sandra Horning said. Analysts remain sceptical about Tecentriq’s prospects of displacing Keytruda. “Merck’s Keytruda has shown similar success and now has four pivotal trial wins in this disease, and has established a clear lead,” said Berenberg analyst Alistair Campbell, who sees peak annual Tecentriq sales of $4 billion. Detailed IMpower 130 results are not due until later this year, possibly in September at the International Association for the Study of Lung Cancer conference in Toronto or October’s European Society for Medical Oncology in Munich. Race sees $4.7 billion in Tecentriq sales by 2022 but has a “hold” rating on Roche shares for fear biosimilar copies of Roche’s older cancer medicines will limit the company’s growth. Rituxan is already being hammered by copies in Europe. The patent clock is also ticking on Herceptin and Avastin, putting $21 billion in annual revenue at risk by 2020. In the first quarter, Tecentriq posted revenue of 139 million Swiss francs ($138.9 million), a tenth of Keytruda and Opdivo revenue. It is already approved to treat bladder cancer and lung cancer where other treatments have failed. Still, Roche remains optimistic Tecentriq trials will carve out a place for the drug as an essential part of lung cancer treatment. It is holding out hope to beat rivals to market in first-line treatment of small cell and squamous cell lung cancer. Roche stock fell 0.3 percent by 1100 GMT, just less than the Stoxx Europe healthcare index’s decline.